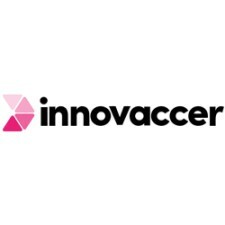 SAN FRANCISCO, February 12, 2019	(Newswire.com) - Innovaccer Inc., the leading San Francisco-based healthcare data activation company, will be unveiling the first look of its Data Activation Platform along with its entire suite of solutions at HIMSS19, Orlando from Feb. 11 to Feb. 15. Being held at Orange County Convention Center, HIMSS19 Global Conference & Exhibition is a place for healthcare professionals to exhibit and witness innovation and discuss solutions to some of the most pressing challenges in healthcare. Spread over a span of five days, HIMSS19 is expected to have over 45,000 attendees. 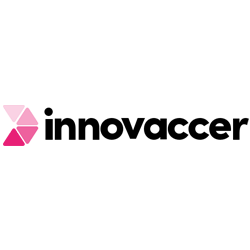 Innovaccer will be exhibiting its newly-launched Data Activation Platform, meant for seamless data integration and interoperability across healthcare systems and locations. Along with it, Innovaccer will also be exhibiting its population health management product, InGraph; AI-assisted care management product, InCare; point-of-care physician engagement product, InNote; and one-stop patient engagement product, InConnect. The products will be showcased at Innovaccer’s booth #2715 in the Exhibit Hall. The team will also be hosting Glenn Steele, Jr. MD, Ph.D., Vice Chair, Health Transformation Alliance, former Geisinger Health System President and CEO, for a ‘Meet and Greet’ with David Nace MD, Chief Medical Officer at Innovaccer, on Feb. 12, 1:30 p.m. ET at booth #2715. On Feb. 13, Innovaccer will be hosting Phil Fasano MBA, Fortune 100 C-Level Strategist and former Chief Information Officer (CIO) at Kaiser Permanente along with Nathan Riggle, Director of Analytics at Mercy ACO, Iowa for a Fireside Chat moderated by Dr. Nace at 11 a.m. ET. David Nace MD will also be hosting invite-only networking dinners with Dr. Glenn Steele, Jr. on Feb. 12 and with Phil Fasano on Feb. 13. This will be followed by a networking breakfast with Paul Grundy MD, MPH, FACOEM, FACPM, Founding President of the Patient-Centered Primary Care Collaborative (PCPCC) and Chief Transformation Officer at Innovaccer on Feb. 14. Nathan Riggle will also be delivering an educational session titled “Leveraging Data Analytics to Complement Value-based Approach” on Feb. 13, 8:30 a.m. ET in Orange County Convention Center, W308A. This session, listed in “Chilmark’s HIMSS’19 Recommended Sessions,” will explain how Mercy ACO developed a complete picture of patients spread across six regional chapters and delivered enhanced clinical and financial outcomes. Additionally, Richard T. Shirey, VP and CIO at Hartford HealthCare with Isabella Veillette, ITS Team Lead at Hartford HealthCare will be delivering a session titled “Leveraging Network-Wide Opportunities to Manage Population” on Feb. 14, 4 p.m. ET in W311A. Their session will focus on the data-driven strategies employed by Hartford HealthCare to integrate 36 different EHR systems spread across hundreds of ambulatory practices and how the enormous amount of data translated this into network-wide opportunities. Visit Team Innovaccer at Booth #2715. To learn more about the Data Activation Platform, schedule a demo. Innovaccer Inc. is a leading healthcare data activation company committed to making a powerful and enduring difference in the way care is delivered. Innovaccer’s aim is to make full use of all the data healthcare has worked so hard to collect. Its Gartner and KLAS-recognized data activation platform and artificial intelligence products have been deployed all over the U.S. across more than 500 locations, enabling over 10,000 providers to transform care delivery and work as one. Innovaccer's Data Activation Platform (DAP)TM has been successfully implemented for several institutions, governmental organizations, and several corporate enterprises such as Mercy ACO, Orlando Health, Catholic Health Initiatives, StratiFi Health, UniNet Healthcare Network, Catalyst Health Network, Hartford Healthcare, and Osler Health Network. Innovaccer is based in San Francisco and has 5 offices across the United States and Asia. The solution aims at building the information superhighway to give pediatric care the head start it needs.